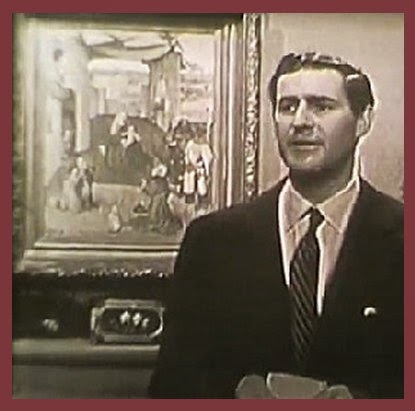 On Christmas Eve at 9:30 in 1951, an estimated five million Americans tuned in to watch an opera on television as NBC broadcast the world premiere of Gian Carlo Menotti’s Amahl and the Night Visitors. To introduce the opera, Menotti himself directly addressed the audience, explaining how he was inspired by the above painting by Hieronymus Bosch (c. 1450-1516). Menotti’s epiphany before the painting didn’t occur at an academic level—he says nothing about the artist’s technical use of form, color, or line. 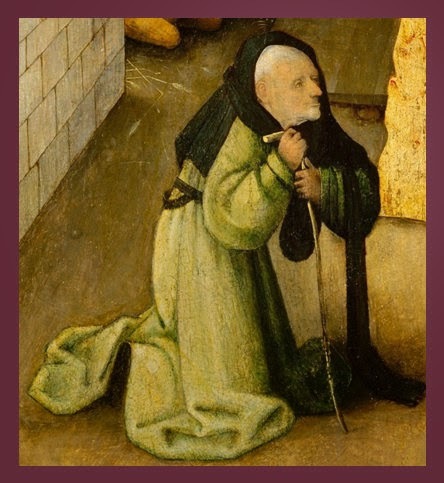 Instead, he describes a two-way interchange, where Bosch offers a unique, original vision and Menotti responds with memory and imagination, allowing the painting to direct his thoughts back to his youth. The magic of art occurs within this exchange between two people who lived five centuries apart. 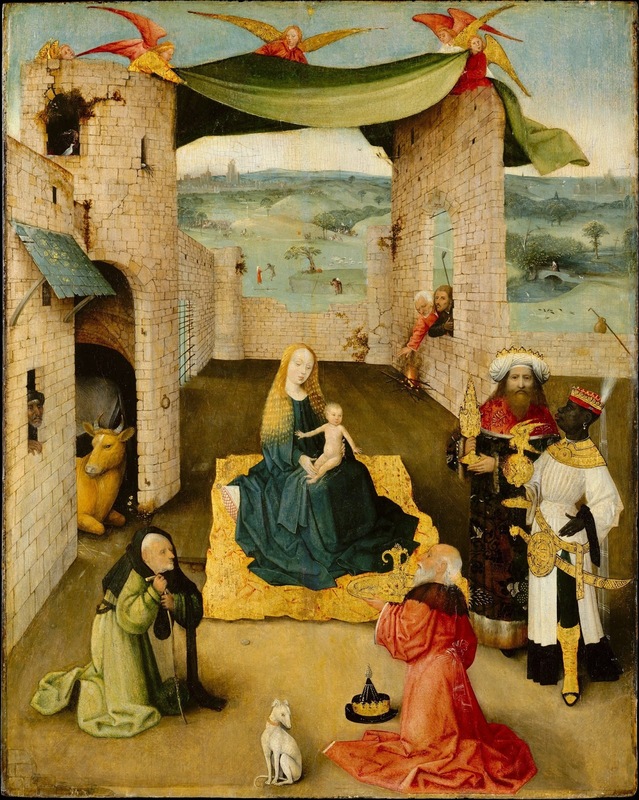 This is how Menotti described the moment of inspiration he experienced when encountering Bosch’s The Adoration of the Magi during a visit to the Metropolitan Museum of Art. “This opera comes out of my own childhood because, you see, when I was a child I lived in Italy and in Italy we have no Santa Claus. I imagine that Santa Claus is much too busy with American children to be able to handle all the Italian children. Our gifts were brought to us by the three kings. I actually never met the three kings… How hard my little brother and I tried to keep awake at night to catch a glimpse of these three kings! We would always fall asleep just before they arrived. But I do remember hearing them. I remember the weird song in the distance. I remember the sound of the camel’s hoofs. And I remember the tinkling of the silver bridles. “And I remember that my favorite king was King Melchior because he had a nice long white beard. My brother’s favorite was King Caspar whom we insisted was a little crazy and quite deaf. I don’t know why he was so sure that he was deaf. I suspect it was because he never brought him all the gifts he asked for. Anyway, our people brought us the gifts and I should have been very grateful to them. Instead I came to America and I soon forgot all about them. Here we have so many Santa Clauses all over town and there is the big Christmas tree on Rockefeller Plaza, all the windows on Fifth Avenue, the choir in Grand Central Station, all the Christmas carols on the radio. All these things made me forget the three dear old kings of my own childhood. It’s fascinating to conjecture the extent to which Menotti genuinely drew upon this picture in composing the opera. 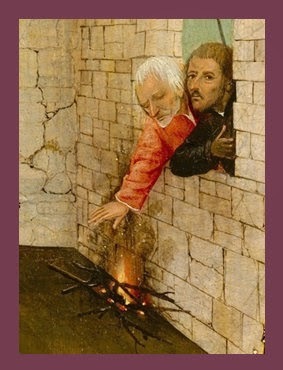 Just substitute Amahl for Joseph (lame and leaning upon his walking stick) and the story practically writes itself! For a full description of the original 1951 broadcast, visit the TV Party website. And to view that original broadcast, once the talk of the nation, here it is on YouTube!